Top 9 Reasons Why More Runaway Bay Locals Choose To Use Jetset Plumbing! 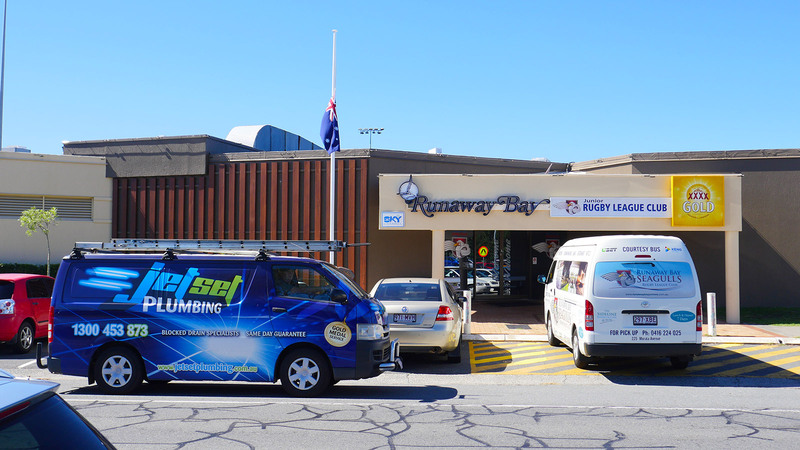 Jetset Plumbing are your local plumbers for Runaway Bay, we specialise in both residential and commercial plumbing. Servicing customers across South-East Queensland for over 20 years, you can always rely on us to deliver a professional and affordable service that will leave you satisfied 100% of the time. Our plumbing services are provided to real estate agents, home owners, tenants, retail outlets, restaurants and factories. Runaway Bay is a suburb on the Gold Coast, Queensland. The suburb has a population of 8,912. The neighborhood of Anglers Paradise is situated within Runaway Bay. It is the southern area of Runaway Bay developed before 1967. The history behind this suburb began in 1967 when Lae Enterprises bought 182 hectares of land along the western shore of the Gold Coast Broadwater. The Runaway Bay library opened in 1992 with a major refurbishment in 2011. Runaway Bay Shopping Village is the main shopping center in the suburb. Harbour Town is located nearby, the suburb is also home to the Runaway Bay Junior Rugby League Club, which was formed in 1974. Runaway Bay residents need a reliable and trustworthy tradesman to ensure the integrity of their suburb. Using state-of-the-art technology to solve your problems fast, you can be assured that when you book an appointment with Jetset Plumbing, you will not be disappointed with the quality service we provide. Give us a call on 1300 453 873 or 1800 443 996 today!